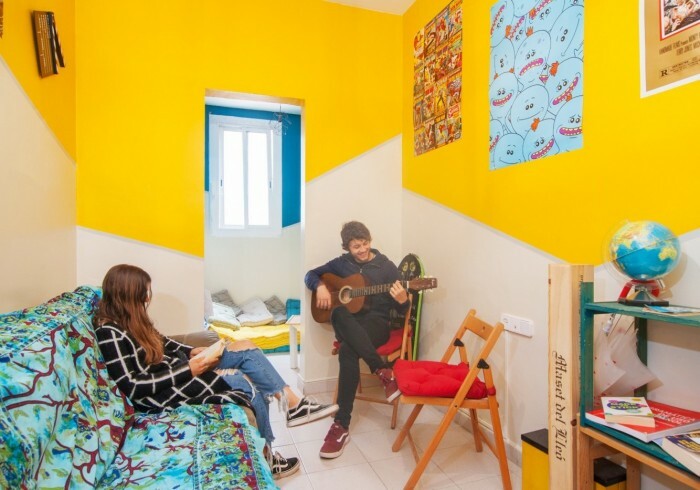 No Limit Hostel Sagrada Familia is located in the Eixample neighborhood in Barcelona, just 50 m from Sagrada Familia! The nearest airport is Barcelona El Prat Airport and is a simple train/metro/bus ride away from the city. Our closest metro is La Sagrada Familia (L2). Feel free to call if you need help finding us!